The Palm Slim Pendant is a graceful diamond-shaped wafer with a sensuous palm motif accenting any outfit. Created of the finest quality sterling silver, the pendant is 1 3/4” on each side and 1/2” in depth and includes an 18" sterling chain. 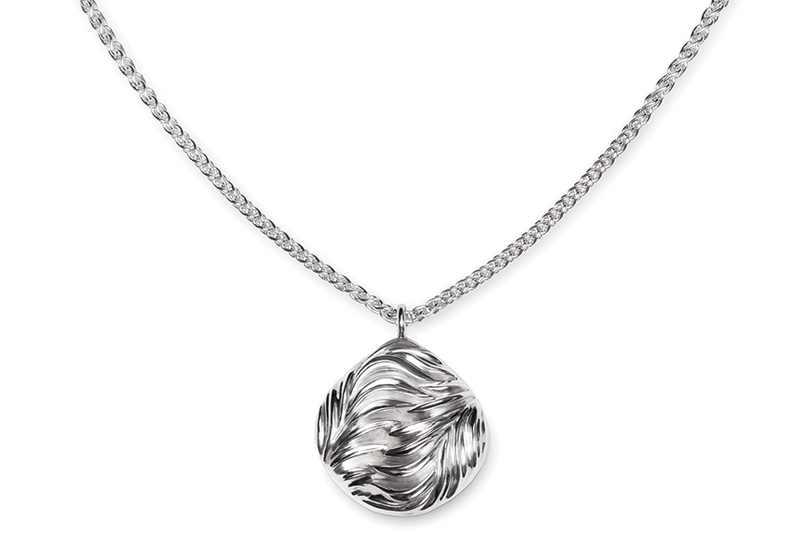 Think of this sleek pendant under a crisp collared white blouse, on a black silk tee, or even layered with other favorite necklaces.